Looking to make improvements on your motorcycle? Are you in the market for a brand new bike? Maybe you just need some tips on how to keep your bike running fast and smooth. Hot Bike magazine focuses on all aspects of the biking world, from technical advice to reviews of the best modification equipment. Each issue features articles that will help you get the most out of your biking experience. 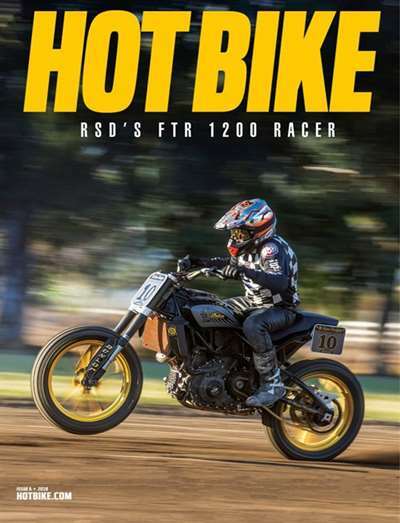 Subscribe to Hot Bike Magazine at MagsConnect Canada. A Class Act From Beginning To End! Pointe Magazine is the finest American magazine devoted exclusively(more or less) to ballet, as opposed to other dance styles. It is geared towards both men and women equally, and is at an adult level. The quality of the coverage is great, and there are lots of interesting regular features, such as highlighting a dancer of the month and question and answers of famous dancers. The quality of the photography is top notch, as is the fantastic paper it is printed on. It is also very affordable. I don't know any ballet dancers who don't subscribe to Pointe!